Are you a Slave to Fashion? Your feet might be paying the price. By Pedram Hendizadeh, D.P.M., F.A.C.F.A.S. UGGs, ballet flats, wedges, platforms, high heels, stilettos, flip flops – fashions come and go and change all the time. But one thing is for sure: not all shoes are designed with the wellness of your feet in mind. And if you are a slave to fashion, you might be inadvertently hurting your feet and setting yourself up for a host of possible foot problems, which may or may not be felt immediately. 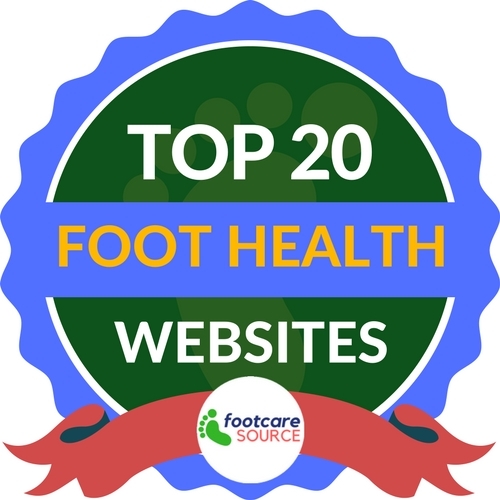 Problems such as toenail fungus, bunions, hammertoes, corns, calluses, neuromas, plantar fasciitis, and achilles tendonitis can certainly have a genetic component, but many of these issues can be triggered or exacerbated by the shoes you wear. Consider the predominant Summer 2011 shoe trend: high heels. Very high. And mostly wedges and platforms. While wedges do provide a little more stability than regular high heels, any shoe with a heel over 2 inches can cause a host of problems. High heels shorten the achilles tendon and put strain on the calf. 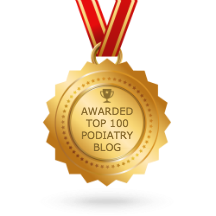 They also put extreme pressure on the front of the foot, particularly if they are pointy, which can cause or aggravate conditions such as Bunions and hammertoes and neuromas. Wearing high heels for extended periods of time can also cause neuropraxia, which is the bruising of the nerves in the ball of the foot. And there is always the risk of twisting your ankle if your foot rolls over in the high heels. This is even possible with the new “flatforms” because your foot is perched on top of a few inches of shoe. Of course it is unrealistic to think that all women will stop wearing heels, even if they know the risks. But it is a good idea to limit the number of hours you wear them, alternate with flat shoes, and use orthotics or inserts to provide more cushioning. And if you have far to walk to work but still want to look fashionable, wear a pair of good walking shoes and change into your high heels once you get there. The other big shoe trend for Summer 2011 is ballet flats. While you might intuitively think that these are better for your feet, depending on the quality and style, this may not be the case. Most ballet flats are minimal shoes in that they have very little to no cushioning in the sole and certainly no arch support. This increases the risk of shin splints and plantar fasciitis, a chronic inflammatory condition of the heel and foot. Ballet flats may feel comfy, but they shouldn’t be worn too frequently, particularly if you have flat feet. Once again, inserts or orthotics are a good idea. In warmer weather, ballet flats can also cause sweaty feet and odor, and in extreme cases, a fungus infection. To avoid this, don’t wear them every day, take them off when you are sitting at your desk, and opt for natural materials such as leather, which will allow your feet to breathe. Foot powder can also limit moisture. And what would summer be without flip flops? The delight of having your toes exposed! The ease of slipping them on as you run out the door. But, all that comfort and freedom may come at the price of foot health. Wearing flip flops poses the same risks as wearing ballet flats, and more. It is very easy to trip in flip flops as the toe area gets caught on the curb or sidewalk. You can also have an injury to your nails as they can catch on something and tear or rip off. And because your feet are not secured in the shoe, the risk of ankle sprains is high. So save those flip flops for the beach or around the pool, but not for long walks or walking in the city or around the neighborhood. In recent years, minimalist shoes and “five fingers” shoes like VibramÒ have emerged based on the theory that walking or running barefoot is much more natural, the way our ancestors did for thousands of years. Proponents say that the barefoot walker/runner tends to land more on the mid-foot than with a heel strike, resulting in less impact on the heel and potentially fewer heel injuries than with running shoes. Most podiatrists, on the other hand, are concerned that these minimalist shoes can cause injuries ranging from achilles tendonitis to severe bruising of the soft tissue of the foot from landing on something like a rock. There are not enough studies to support either the merits of barefoot running or the merits of running in sneakers. Until such time as solid data is available, both sides of the debate agree that whether you run barefoot or in sneakers, you should adjust your form accordingly to prevent injuries. And finally there are UGGs. Whether you love or hate them, and regardless of which side of the UGG fashion debate you fall on, you will find that podiatrists and foot and ankle specialists are not UGG fans for many reasons. UGGs have little to no support, so regular wearing can cause arch and heel pain and throw your walk out of whack, which then extends the problems to your ankles, knees, hips, and even your back. The soft, comfy UGGs are very roomy, allowing the ankles to roll inwards causing wearers to adopt the "UGG Shuffle." Because they are so comfy and easy to slip on and off, fans of UGGs tend to wear them everyday and for many hours a day, which can cause these kinds of problems. In addition, the warm shearling liner can really make your feet sweat creating a perfect breeding ground for fungus and bacteria. So, should you throw out those UGGs? Not necessarily, but I do recommend that all UGG wearers use an insert to provide better support, wear socks, and spray the inside of the UGGs with an anti-fungul spray at least once a month. And as difficult as it may be, I recommend alternating with other boots or footwear to give those feet a break. The UGG style is here to stay, at least for the foreseeable future, so by making a few small changes, UGG wearers can protect their feet and enjoy their UGGs for years to come.